Personal Loans or Business Loans? Even though a lot of finance experts suggest business loans as the most appropriate choice for those who need to finance their business, personal loans remain a viable option. Before you pick which loan would work for you, it is important to examine the potential outcomes of these loans. Business loans often come with strict eligibility requirements there are also many documents involved, such as business plans, income tax returns, and books revealing revenues and financial transactions for the past two years, and so on. On the other hand, it is easier to obtain personal loans with its minimum requirements such as credit score, and minor financial statements and records. A personal loan is not time consuming since you can apply online. Unlike business loans, you don’t have to worry about losing your collateral in case of default, since personal loans are usually unsecured. Alternatively, no doc business loans are also an option. Unsecured: There is no need to put your car, home, or valuable assets as collateral. Affordable: The rate is generally lower than credit cards. It doesn’t charge hefty application fees or balance transfer fees. Flexible: You can use it for many purposes, unlike a business loan which must be spent for business-related purposes only. Debt consolidation tool: If you have multiple bills, you can roll them into one payment to save on interests and finance charges. If you don’t have the tendency to continue running up your balances on your credit cards, this is a smart option for you to get your finances in order. As your business grows, you may want to separate your business and personal finances. This is very important especially when you want to build your business line of credit and you also want to avoid problems during tax time. A business loan can also limit your personal liability just in case you suffer from financial difficulties during the repayment period. Business loans help you build financial credibility as you repay your loans responsibly. It will open doors of financial opportunities not only in terms of higher credit limits and better financing opportunities, but a solid reputation with investors, suppliers, vendors and so on. If you have bad credit score, consider a no credit check business loan. But, business loan hasits own downsides. If your business has not yet established its own credit, the lenders may not approve your application. In this case, you will need to look for loans with bad credit. The loan application is also lengthy, tedious and at times painful as some loan officers would look into your books one by one. As you wait for loan approval, you may already miss good business opportunities. Some lenders still require personal guarantee which makes you personally liable if your business defaults. Now that you’re armed with the basic benefits of personal loans and business loans, you can now determine which of the two options can best fit your financing needs. However, there is a game-changer—the lending institution. You do not need to guess how to get quick approval business loans, with various online lending platforms available online. The key is to find the lender that offers personal loans and business loans at an affordable rate, with minimum financing costs and low documentary requirements. If you have excellent credit both for your personal and business credit, you can try your luck even in the biggest banks in the country. But, if you have some problems with your credit score and your business is just starting out, the online non-bank lending market is the perfect place to look for a suitable loan such as a tax debt loan or working capital loans. Instead of spending sleepless nights comparing between terms and conditions of various loans online, you should take a few simple steps to find the right lender. 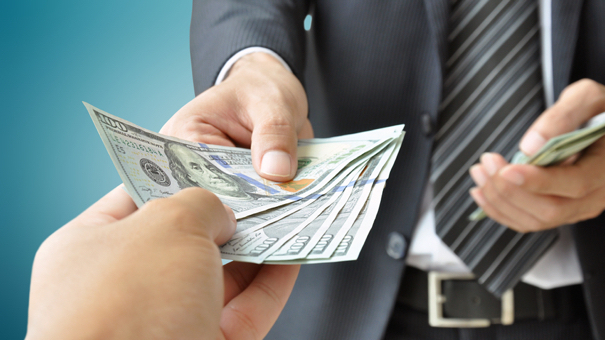 Get referral from family and friends who have successfully obtained loans from online lenders. Ask about their experiences and the loans that worked for them. Narrow down your list to the lenders that will most likely qualify you for a loan. It is useless to spend time researching about a lender’s loan products and its repayment terms when you don’t meet its eligibility criteria. Determine which lender communicates well with its clients. How does a company communicate with potential borrowers? Is it through phone calls, e-mail, or in person? Does it quickly respond to your messages? Determine its processing time. How long are the turnaround times? If it takes weeks before the per-approval, then you should move on to the next lender. Make an enquiry about the lender fees. Be extra careful when dealing with lenders asking for cash advance just to process your business loans. Remember that a reputable lending company like Business Loans Australia will only charge you for their services once your loan has been approved. Choose personal loan or business loans that you can pay conveniently. Don’t; take more than what you can actually handle. Remember that borrowed money must be repaid on time. Get only the loan amount that you know you can repay regardless of financial setbacks that come your way. The entire amortization period is broken down into distinctive loan phrases having a fixed hobby fee. It is able to variety Loans Geeks, a 5-12 months time period is the maximum common. After every mortgage term ends, the loan needs to be renewed for every other time period, and the interest charges can also or may not be changed. This is going on until the mortgage is totally paid off. This information is meaningful and magnificent for us which you have shared here about Personal Loans and Business Loans. Your article is very useful for us because it nicely describes the difference between personal loans and business loans. V³ Lending provides the private property loan at the lowest interest rates.